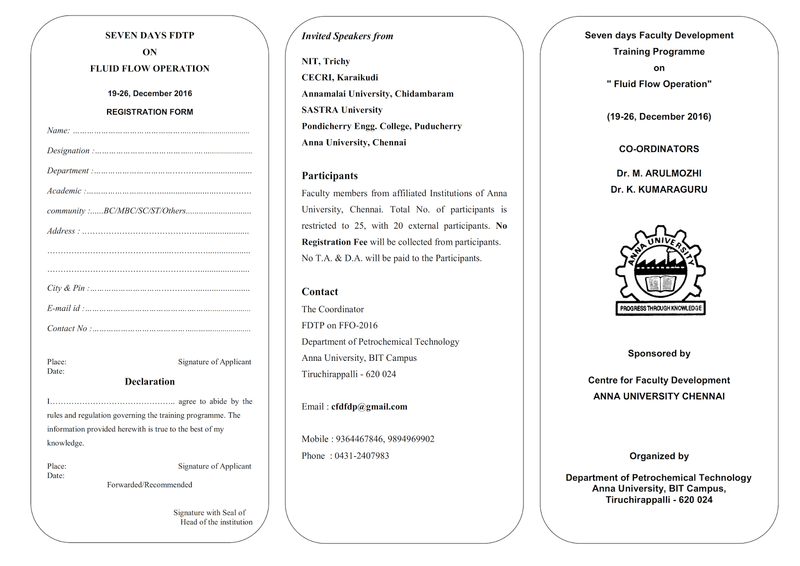 The Department of Petrochemical Technology Anna University, BIT Campus,Tiruchirappalli has Organised the Faculty Development Training Programme "Fluid Flow Operation "on 19th December to 26th December 2016 . Properties of Fluids and Concept of Pressure. Only limited number of seats (25) are available with 20 external participants. 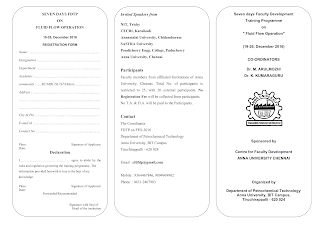 Interested persons are requested to fill up the application form in the prescribed format and send it to the Coordinator's address given below to reach by on or before 06th December 2016.